When the Arab League announced the establishment of a joint military force, coverage in regional and international media was extensive. If realized as envisioned, the establishment of a military force comprising 40,000 troops would indeed upgrade the role of the Arab League, which, at least until the Arab Uprisings, was renowned for being an ineffective organization with rather low relevance for regional security affairs. Against the background of this interrelation, the present short article aims at dealing with two analytical tasks and one normative question. First, why now – why did the Arab League come up with the idea of establishing joint troops seventy years after its foundation? Second, how likely is it that an Arab military force will be effective and what are the factors influencing that? Third, how desirable is an Arab army? The Secretary General of the Arab League—Nabil Elaraby—explained the organization’s recent initiative to create a military force as a response to the unprecedented threats and unrest the Arab World is facing (Hürriyet Daily News 2015); Egyptian President Abdel Fattah al-Sisi in his speech supported the view of the Secretary General (Johnston 2015). However, although this reasoning may be convincing as a political justification for the League’s initiative, as a scholarly explanation it is not. First, the (Arab) Middle East has experienced many security-related crisis situations in the past seventy years—thus, why now? Second, even if the current situation were “unprecedented,” the functional logic of the argument is misleading from a scholarly perspective: We are quite often in need of certain instruments to deal with crisis situations—and still these instruments are not created. Thus, why particularly in the present case? The March initiative of the Arab League did not come out of the blue. Barely two weeks prior to the Arab Summit, Imran Khan (2015), inspired by a speech made by Elaraby, broached the issue of an Arab army in his blog on security issues. Further contextualization of the current initiative reveals on the one hand that the idea of Arab collective defense already materialized in 1950 in the “Treaty of Joint Defense and Economic Cooperation between the States of the Arab League,” which, however, turned out to be a pure paper tiger. On the other hand, potentially more serious attempts were recently launched by the Gulf Cooperation Council under the leadership of Saudi Arabia (Gaub 2014). Since the “Arab Spring,” two kinds of indicators for what might turn out to be a sustainable shift in regional affairs of the Arab Middle East are observable. Firstly, the dispersion of power capabilities between pretenders of regional power has significantly altered in favor of Saudi Arabia. Secondly, contrary to the response in the 1950s when the Saudi regime was threatened by revolutionary Arab nationalism, Riyadh responded to the challenge posed by the Arab uprisings by launching active regional policies. In other words, the power gap between Saudi Arabia on the one hand and other major Arab states on the other has recently grown to a degree that Saudi Arabia has found itself in the position of being an Arab hegemon: Iraq had already been decisively weakened by American war-waging and boycotts in the decades prior to the Arab Spring, the other Baath regime in Damascus has been struggling for survival ever since 2011, and al-Sisi’s military regime in Egypt has become highly dependent on political rents from the Gulf States. The regime in Riyadh, on the other hand, managed to meet the challenges of the Arab Spring and proved to be robust. Saudi Arabia enjoyed extraordinarily high oil prices until early 2014 and thereafter countered the decline in prices by significantly increasing its production (Reuters 2015).Yet, the new regional power constellation is a result not only of “objective” shifts in relative power capabilities but also of the “subjective” willingness of the Saudi regime to adopt a leadership role. Since the Arab Spring, much more than before Saudi Arabia has used regional organizations—particularly the Arab League and the GCC—for its active regional policies. Inter alia, this became apparent when the memberships of Libya and Syria were suspended and when Saudi troops interfered to put down the Bahraini uprising in 2011. Under the leadership of Saudi Arabia, the Arab League has become active several times since the Arab Spring, thereby softening some of its cherished norms, particularly the principles of unanimity and non-interference in the internal affairs of member states, which previously had hindered the organization from playing a significant role in contested regional issues (cf. Beck 2015). In general, the question arises whether the tendency of Saudi Arabia to act as an Arab hegemon in strengthening regional organizations is sustainable. In particular, it is to be addressed how likely is that the Arab League will walk the talk of creating a joint military force and that it will be embedded in a strengthened institutional design of the League. In terms of the general question, it seems rather likely that Saudi Arabia will “objectively” remain in the position of an Arab hegemon. The three potential challengers, Egypt and even more so Iraq and Syria, appear to be undergoing such strong political and socio-economic crises that they seem to be incapable of catching up with Saudi Arabia in the foreseeable future. Yet, it is much less clear whether Saudi Arabia’s “subjective” willingness to act the hegemon will endure. The provincialism of Saudi Arabia’s state ideology—Wahhabism—may be an obstacle to that (cf. Beck 2015). In terms of the specific aspect of the League’s military force, some hindrances are still to be removed, least of which is financing due to the oil rents received by the Gulf countries. Yet, particularly the building of joint forces requires a high degree of mutual trust, which is difficult to achieve among authoritarian regimes. Related to this is the issue that an Arab military force will turn out to be a powerful instrument only if it is embedded in an institutionalized system of collective security, which requires sophisticated institutional design, including the readiness of member states to waive some rights of sovereignty. Whether the Arab League under the leadership of Saudi Arabia will be capable of implementing far-reaching institutional reforms to become the “Arab NATO” — as the Arab military force has been somewhat prematurely labeled by James Stavridis (2015) — is far from clear. The failure of Saudi Arabia to achieve the “Gulf Union” nourishes skepticism (Roberts 2012). Another argument to cast doubt on the successful implementation of the Arab League’s plans to implement a military is very basic: Does Saudi Arabia really have sufficient interest in it? As Jessica Noll and Stephan Roll (2015) argue, the fact that Egypt is supposed to provide the bulk of troops could reflect the unrealistic Egyptian ambition to meet the Saudis on eye level. In the light of Egypt’s political and socio-economic demise and financial dependence on Saudi Arabia, it is unlikely indeed that, in a policy field as sensitive as regional security, Riyadh would go for a design that does not largely correspond with the new power dispersion among Arab states, which does not leave much room for Egypt to present itself as a protecting power of the Gulf area. It remains to be seen whether the designation of a Saudi officer at the top of the Arab military unit is sufficient to reassure both Saudi Arabia and Egypt of the reality of regional hierarchies. Another reason why Saudi interest in the whole endeavor might be limited is that the professionalism of Egyptian troops does not meet the expectations of the Gulf States. The long-lasting inability of Cairo to regain full control over the Sinai Peninsula does not give rise to the expectation that Egyptian troops might be capable of successfully conducting asymmetric warfare, for instance. Therefore, it cannot be excluded that the initiative to build an Arab military force will share the fate of many previous launches: a big announcement followed by a rather low performance. Normative Dimension: Should an Arab military unit be embraced? There appear to be two meaningful criteria for assessing an Arab military force: whether it would increase regional self-determination on the one hand and enhance human security on the other. 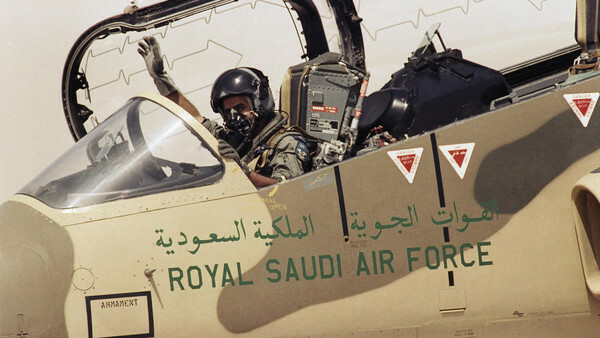 In a banal sense, regional self-determination would be boosted if the Arab military force developed as a powerful tool of a Saudi-led Arab League, since this could spare the region from more American campaigns. Moreover, in the light of Western attempts to prevent the emergence of regional powers, which can be traced back to the 19th century (Lustick 1997), a greater role for an Arab regional power may appear progressive. However, the regime in Riyadh constitutes one of the most reactionary political systems in the Middle East: Not only has Saudi Arabia been in charge of securitization policies toward Shiism, but its human rights record is also one of the worst on a global scale. Thus, even if the Arab military force proved to be an effective tool of the Arab League to stabilize the Arab state system, it is far from clear whether this would not be to the benefit of the security of states only rather than to the Arab people. As in the recent past Arab states have been among those actors that have posed the most severe security threats to Arab people, there is good reason to be skeptical that a military unit of an Arab intergovernmental organization such as the Arab League would be suitable to significantly enhance human security in the Arab Middle East. This article was first published at E-International Relation's Website on 22nd May 2015. Martin Beck is Professor for Contemporary Middle East Studies at the University of Southern Denmark. Beck, Martin 2015: The End of Regional Middle Eastern Exceptionalism? The Arab League and the Gulf Cooperation Council after the Arab Uprisings, Democracy and Security 11 (2), forthcoming. Bröning, Michael 2015: The All-Arab Army? Why the Arab League’s New Force Spells Trouble, Foreign Affairs, April 7, available at: https://www.foreignaffairs.com/articles/persian-gulf/2015-04-07/all-arab-army?cid=rss-security-the_all_arab_army-000000 (accessed: May 13, 2015). 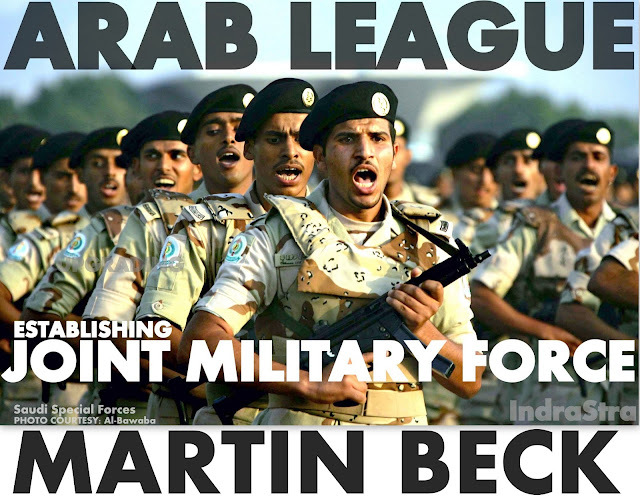 Gaub, Florian 2014: An Arab Army—Coming at Last? European Union Institute for Security Studies Alert Issue 52, available at: http://www.iss.europa.eu/publications/detail/article/an-arab-army-coming-at-last/(accessed: May 13, 2015). 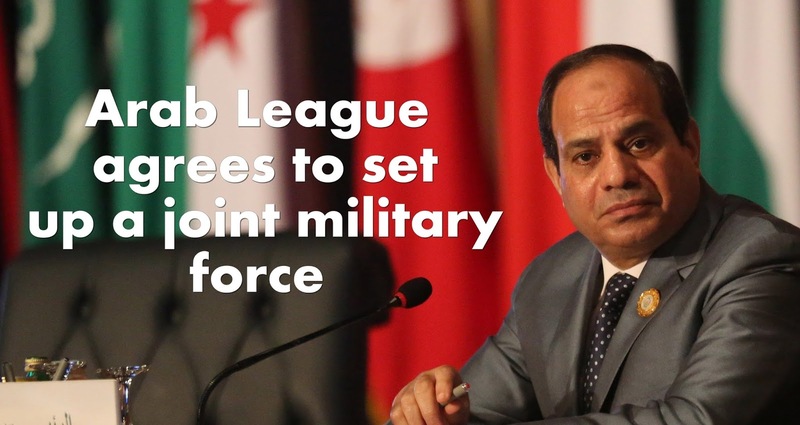 Govern, Kevin 2015: The Arab League Joint Military Force. Countering Extremism and Political Instability, Jurist, April 1, available at: http://jurist.org/forum/2015/04/kevin-govern-arab-league.php(accessed: May 13, 2015). Hürriyet Daily News 2015: Arab League Points Finger at Turkey, Israel, Iran over “interference”, March 29, available at: http://www.hurriyetdailynews.com/arab-league-points-finger-at-turkey-israel-iran-over-interference.aspx?PageID=238&NID=80320&NewsCatID=352 (accessed: May 13, 2015). Johnston, Alan 2015: Arab League Agrees to Create Joint Military Force, BBC, March 29, available at:http://www.bbc.com/news/world-middle-east-32106939 (accessed: May 13, 2015). Khan, Imran 2015: Does the Arab League Need an Army? Al Jazeera’s Imran Khan Analyses the Question in his Weekly Blog on Security Issues, Aljazeera, March 13, available at:http://www.aljazeera.com/blogs/middleeast/2015/03/arab-league-army-150313111904762.html(accessed: May 13, 2015). Khatib, Lina 2015: Riyadh is Setting Itself Up as Region’s Policeman. The Incoherence in Saudi Policy Encouraged Saleh, the Houthis and Iran to Try to Increase their Influence in Yemen, The Independent, March 29, available at:http://www.independent.co.uk/voices/comment/riyadh-is-setting-itself-up-as-regions-policeman-10142429.html(accessed: May 13, 2015). Lustick, Ian 1997: The Absence of Middle Eastern Great Powers. Political “Backwardness” in Historical Perspective, International Organization 51 (4), 653-683. Noll, Jessica, and Stephan Roll 2015: Vom Jemen-Krieg zur gemeinsamen Armee? Ägyptisch-saudische Differenzen über arabische Militärkooperation, SWP Aktuell 47, April, available at: http://www.swp-berlin.org/de/publikationen/swp-aktuell-de/swp-aktuell-detail/article/arabische_militaerkooperation_aegyptisch_saudische_differenzen.html (accessed: May 13, 2015). Reuters 2015: Saudi ArabiaAnnounces Biggest Oil Production Surge in 30 Years, April 16, available at:http://rt.com/business/250317-saudi-arabia-oil-production/ (accessed: May 13, 2015). Roberts, David B. 2012: Of Saudi Arabia and the Gulf Union, E-International Relations, July 10, available at: http://www.e-ir.info/2012/07/10/of-saudi-arabia-and-the-gulf-union/(accessed: May 13, 2015). Stavridis, James 2015: The Arab NATO. 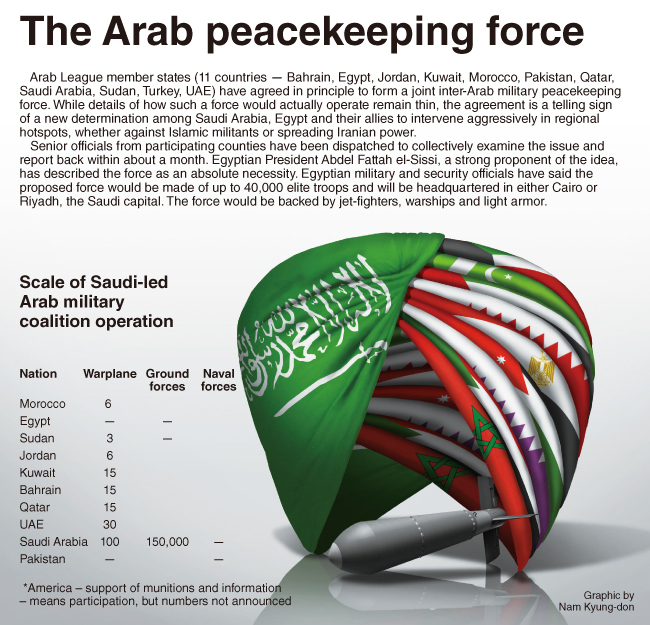 The New 40,000-Strong Arab League “Response Force” Is all about Countering Iran. Get Ready for Tense Times and Strange Bedfellows in the Middle East, Foreign Policy, April 9, available at: http://foreignpolicy.com/2015/04/09/the-arab-nato-saudi-arabia-iraq-yemen-iran/(accessed: May 13, 2015).